The Board of Veteran CEOs: What Are the Pros and Cons of Dating Career Women? 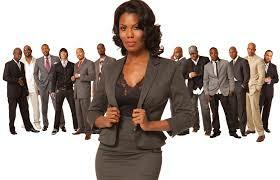 At the same time, for men who have a prosperous profession, a career woman can be a huge asset. A woman who is an attorney can offer legal security. A woman who is a doctor can benefit a man’s health. A financial wiz can help a man better negotiate deals. This list of benefits can go on. However, do most women think in terms of being an asset? Does a career woman translate to equal responsibility in the relationship? While dating and marrying a career woman has many benefits, there is a flip side. That side is not always the most attractive or logical. For this show, Ted and Blair are going to strip down the reality of the career woman. We are going to look at the good, the bad and the ugly. From there we will look at solutions that benefit men and women, in such a way, relationships work. Join us! Sunday, January 6, from 7:00pm-8:30pm (EST) at Straight Talk with Ted Santos and Blair Nash on Blog Talk Radio.